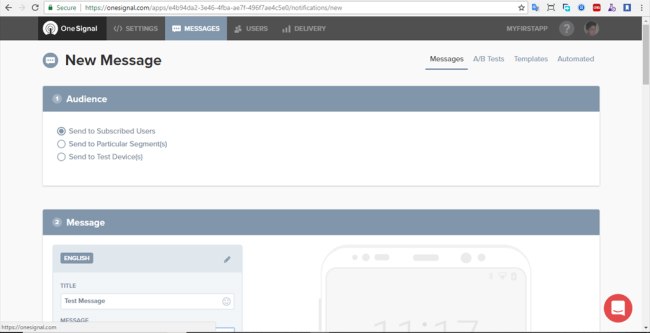 How to integrate OneSignal push notifications into an Ionic 3 application step by step. 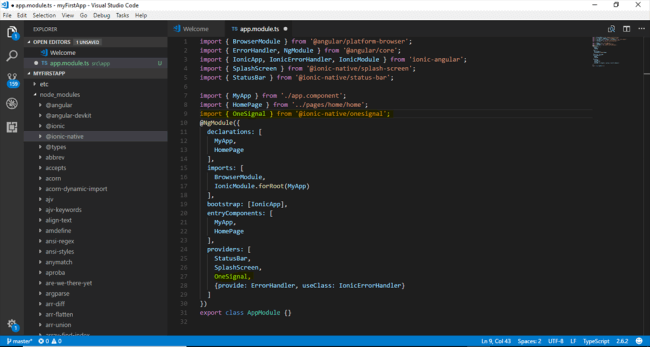 We have discussed Getting Started With Ionic 3 With Typescript in my previous post. Today, I am going to show how to integrate OneSignal push notifications into an Ionic 3 application. I have already created an application so that I can integrate OneSignal into my existing application. Type this line in your command prompt and press enter. 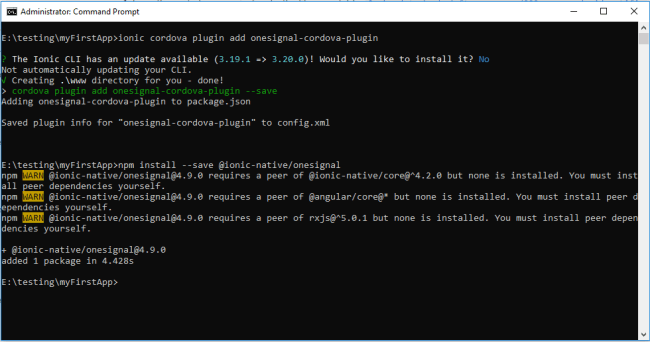 It will install OneSignal Plugin in your application. 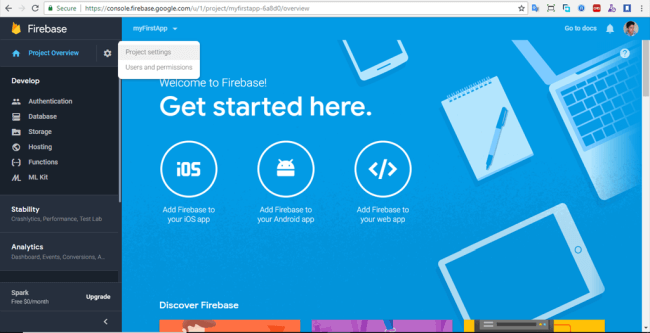 Goto Google Firebase Console and login with your Gmail Account. 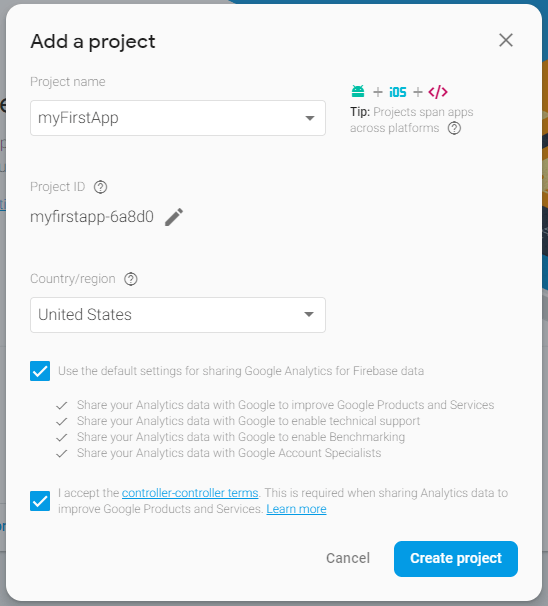 Name your project, choose a country, accept the terms, and click on Create Project. Now, go to settings and click on Project Settings. 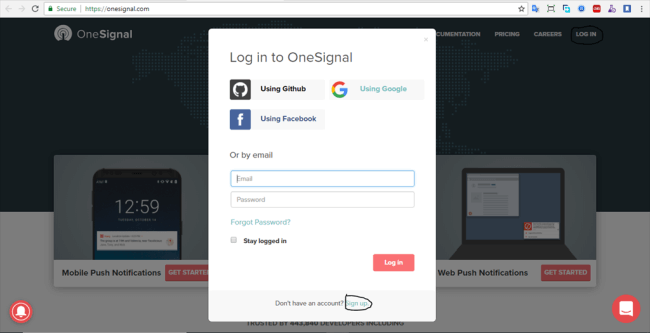 Go to OneSignal and login with your ID or create a new one if you don't have any existing or you can login with Gmail, Facebook and GitHub. Currently, I am logging with gmail. After logging in successfully add a new App. Type your app name and click on create. Select platform and click Next. Currently, I am selecting Google Android. 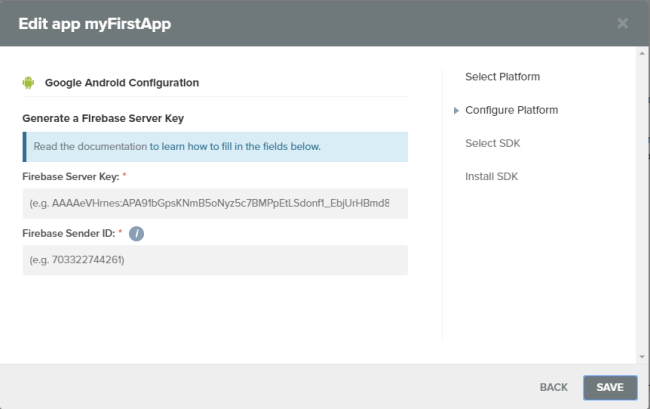 There you need to insert Firebase Server Key And Firebase Sender Id. 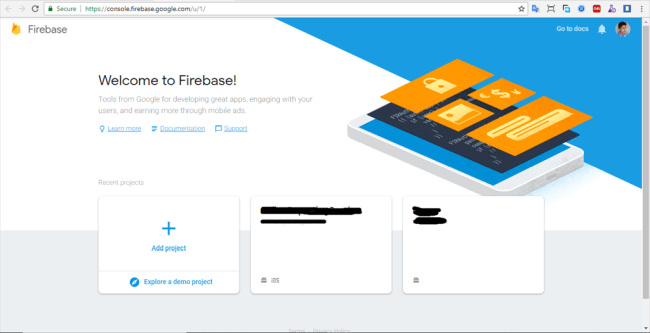 We have already created those ID's from Google Console Firebase. Copy those IDs and paste it here and click on save. 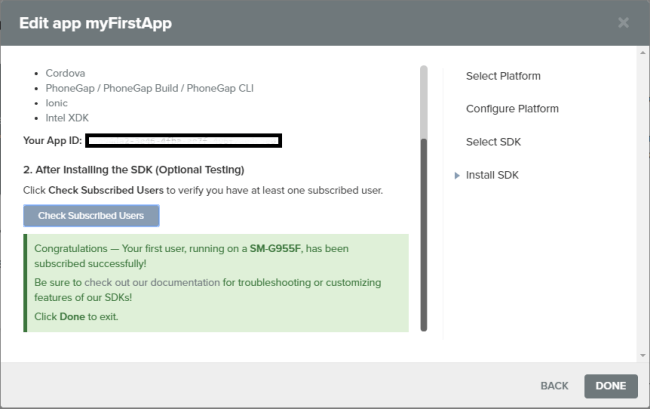 Now, you have to choose SDK for your application. 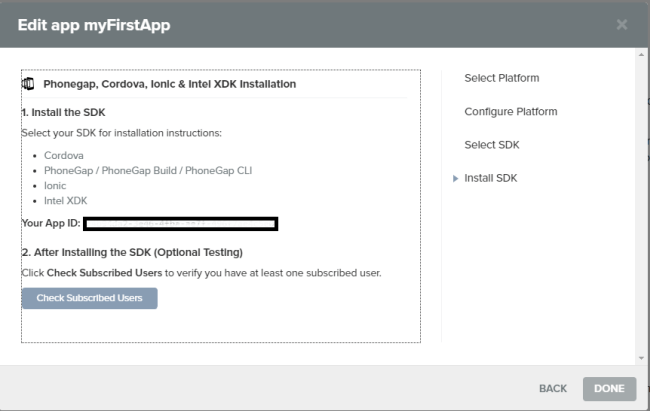 We are developing an application using Ionic so that we can choose Phonegap, Cordova, Ionic, Intel SDK and click on Next. There you can find your App ID. Do not share your AppID with anyone. You need to subscribe first to continue so let's pause this step here and let's get back to our code. We are going to register our device for receiving a push notification. First, we will check if Cordova is avaliable or not; that means if the user is using a web browser or real device. Because push notifications will not work in the browser. For this create a common folder under src and create a folder name common and file called is-cordova-avaliable.ts. put this code inside the is-cordova-avaliable.ts file. Goto app.component.ts under src/app and add those code over there. Add OneSignal plugin in constructor. 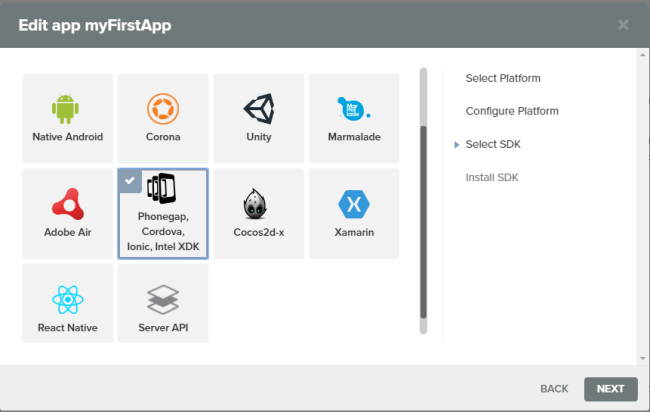 Add following line of code in app.component.ts. 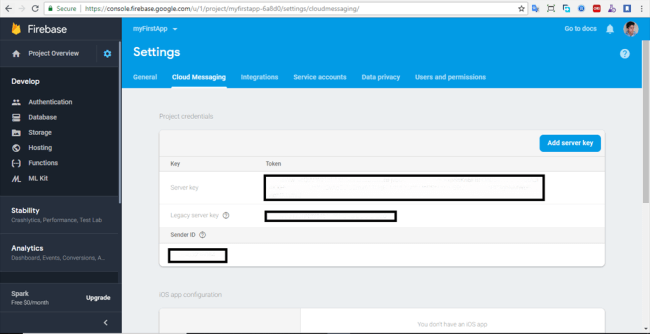 Replace 'oneSignalAppId' with your AppId from OneSignal and 'sender_id' with Google Firebase Sender ID. isCordovaAvaliable() Will check if user is using real devices or not. startInit('oneSignalAppId', 'sender_id') will start the initilization process. handleNotificationReceived() is a method that runs when notification is received. handleNotificationOpened() is a method that runs when notification is tapped or clicked. endInit() is required for complete the initilization process. Finally, the following line of code will handle the received and opened notification. onPushReceived() will alert user when device will receive new push notification on the device. 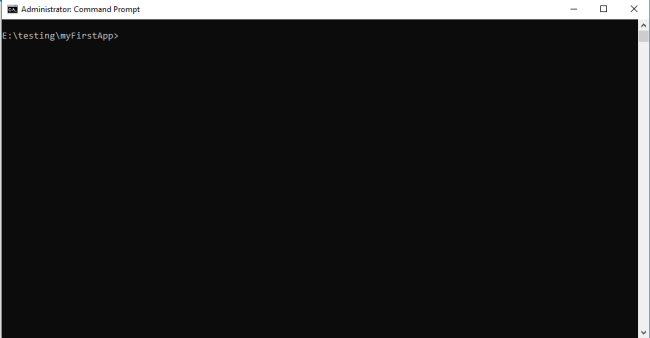 onPushOpened() will alert user with the notification message once the notification is opened. 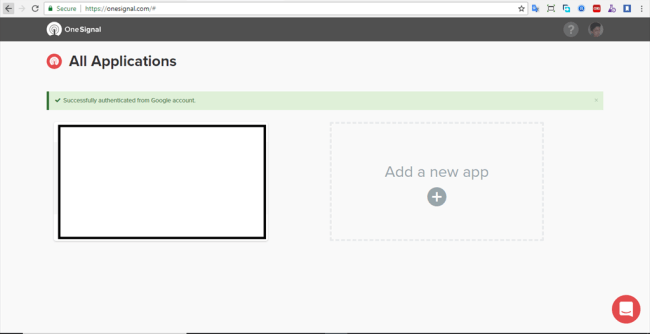 And finally your app.component.ts code will look like this. 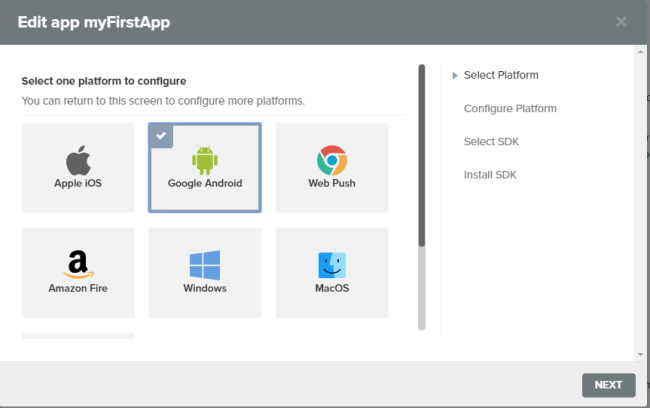 If you have already installed Android SDK in your application then you can run an application in emmulator with this command. Or if you want to run this application in real devices with this command. Once you run your application you can navigate to OneSignal Tab in your browser and click on Check Subscribed User there you can find your device with success message. Now, navigate to OneSignal dashboard and click on messages. After this type your notification Title and Message and click on Confirm button down below and click on Send Message. You can change notification options like: Color, Icon, Lunch Url, Notification sound e.t.c from Options. Now check you device you will get a push notification like this. Now, we have successfully implemented OneSignal Notification in our project. You can find full source code in GitHub repo from here.